Thieme Medical Publishers, 9781604067590, 1280pp. The complex, highly technological field of neurovascular surgery is quickly expanding, encompassing traditional surgical approaches, as well as endovascular and neurointerventional techniques. The last decade has seen increased cross-specialty interest in utilizing minimally invasive techniques to help prevent and treat cerebrovascular disease. Concurrently, there has been important research analyzing the efficacy of surgical methods versus endovascular approaches - and the clip versus coil discussion is covered herein. 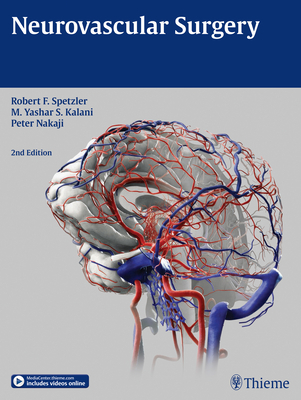 Written by 21st Century pioneers in the field, this second, cutting-edge edition offers the latest science throughout 1,400 pages - and a remarkable video library - covering anatomy, diagnosis, epidemiology, history, treatment indications, technical nuances, outcomes, and complications. Internationally renowned experts from across the globe share clinical pearls and best practices, from the research lab to the ER to the OR. Organized into 11 primary sections, 99 richly illustrated chapters, and more than 140 videos, this volume is an invaluable, one-stop reference tool. It is a must-have for general, vascular and endovascular neurosurgeons; interventional radiologists; neurologists; critical care practitioners; and neuro-rehabilitation specialists.